Edward Norton brings out the wonder kid in him in this film, rewriting a huge chunk of the script (although not getting the credit for the screenplay). However, despite Norton's writing skills, The Incredible Hulk still comes off as just another superhero movie. Just like the rest of them. The Hulk himself appears more human this time, with zero-percent body fat---one lean, green fighting machine---and his proportions are closer to physical reality. One thing that really bothers me though is that some girls actually find the Hulk attractive. One girl in the cinema even exclaimed that the Hulk was "cute". Whatever. Of course, Norton's performance was good, and Liv Tyler's was so-so. Tim Roth plays the villain just perfect, but it was William Hurt who gave the best performance of all, establishing his character perfectly as a great general slash terrible father. Again, watch this film if you are a Hulk fan, or if you just love superhero eye-candy movies. Ang Lee's 2003 version was way too artsy-fartsy for the average moviegoer, and if action and carnage were what you missed with the first film, then this one should keep you satisfied for now. Not one of M. Night Shyamalan's better films, but still, it's not as bad as the critics say. An idea like this can only come from the mind of Shyamalan, whose affinity for the macabre was what launched his Hollywood ticket in the first place. The plot is so simple (the whole structure came to Shyamalan in an instant, while driving through rural New Jersey) that it should be told in a simple, non-linear fashion; just straight-up, direct storytelling. The script is flimsy, as there are some holes that should have been patched up, and there are some ideas that could have been explored more, but Shyamalan makes up for his shortcomings as screenwriter by performing wonderfully as director. It all boils down to execution, and Shyamalan, already a master visual storyteller, knows how to pace the film, to make it subtle, and to let the suspense build up. Although his stories may be of the supernatural, M. Night Shyamalan is a realistic storyteller, always grounding his narratives in something we are all familiar with. One excellent aspect of this film is James Newton Howard's musical score. It is so effective that you will hardly even notice that there is any musical score at all. All you feel is the suspense that builds up inside you, which is a direct effect of the musical score. The performances of the actors are commendable, as there is really no room for over-acting in an M. Night Shyamalan flick. Like the narrative, it all boils down to subtlety, and Mark Wahlberg as science teacher Elliot Moore, delivers just the right amount of panic and hysteria that his role calls for. Zooey Deschanel as Mrs. Moore reminds me of nothing more than a younger, blue-eyed Meg Ryan. John Leguizamo, surprisingly, is able to pull off a Philadelphia high school math teacher slash father, and his screen time is cut dramatically with his early death in the film. 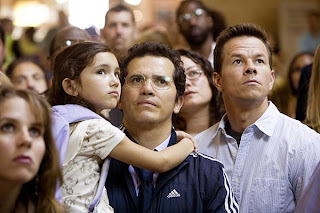 One terrific discovery by Shyamalan is young actress Ashlyn Sanchez, who plays Leguizamo's daughter Jess. While Sanchez is no Dakota Fanning, she still shows a lot of promise, and we could expect more films from her in the future. And of course, where is the director himself with his trademark cameos? He minimizes himself this time and does a Lionel Richie, with just one word over the telephone: Hello. Just a voice, not even a glimpse. Again, a valuable lesson I keep telling everyone is "Do not listen to the critics". Go watch the film anyway, and enjoy it according to your standards, not theirs. Computer animation has come a long way since Toy Story, and Kung Fu Panda, although not produced by CGI giant Pixar studios, definitely proves that DreamWorks Animation is on its way to reach the level of artistry previously monopolized by Pixar. 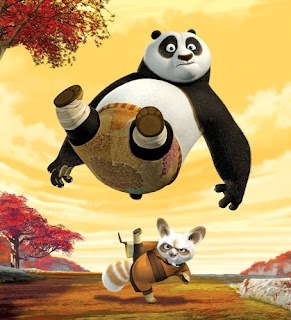 A wild mix of authentic Eastern kung fu action and side-splitting Jack Black comedy, Kung Fu Panda may delight kids with its studded cast of cute furry animals, but adults, especially the die-hard fans of the original kung fu films of the early eighties, may love the film even more. This film scores high on two counts: the action, and the comedy. First, the action. Computer animation has the ability to take kung fu movies to a whole new level. Some say Kung Fu Panda looks like a cross between Crouching Tiger, Hidden Dragon and The Matrix. Hollywood uses something dubbed as "wire fu", which is basically kung fu on wires. This is what gives flight to Zhang Ziyi and Keanu Reeves. Well, with computer animation, the unrealism of wire fu is replaced by the laws of natural physics; hence, flying punches, flying kicks, and flying bodies are more exciting to watch, as they are definitely more realistic. Second is the comedy. It's Jack Black. What else can you say? The superb animation seems to capture Jack Black's soul and bring it out in his character Po, whose facial gestures and body movements provide as much laughs as his dialogue. And of course, the humor is not really geared toward the younger audiences, but to the adults, and even Dustin Hoffman as Master Shifu delivers a few funny lines himself. Yeah, so the Tigress was voiced by Angelina Jolie, and the Viper was voiced by Lucy Liu, but their performances aren't remarkable at all, as I cannot really imagine them as their character. The only ones who pass the test for me are Jack Black, Dustin Hoffman, Tai Lung the Snow Leopard, who is voiced by Ian McShane, and Monkey, who is voiced by the legendary Jackie Chan himself. It's not a real kung fu flick if Jackie Chan isn't in it.